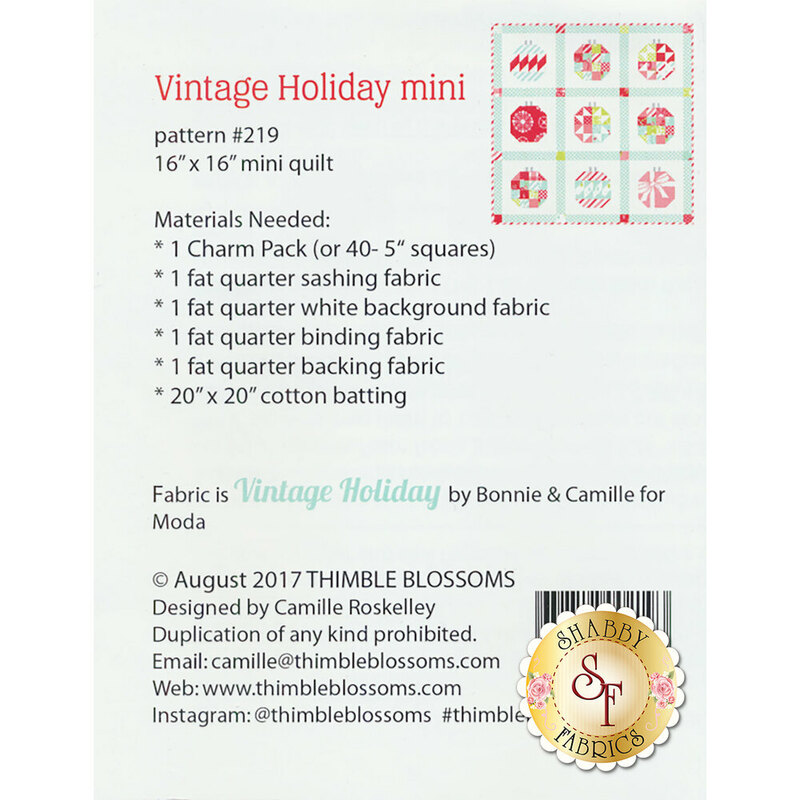 Vintage Holiday Mini by Camille Roskelley for Thimble Blossoms is a charming mini quilt made from a charm pack. 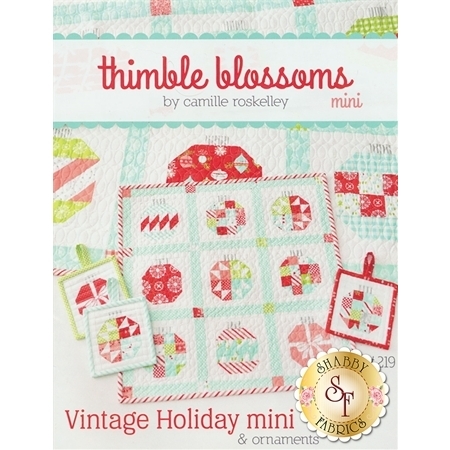 This adorable mini quilt is sure to be a conversation starter! The finished quilt measures 16" x 16".